How many times in your quilting life have you found yourself needing to bang out a quilt as quickly as possible? Perhaps you’re a beginner who wants to make a quilt that’s not too complicated. Or, maybe you’re like me and don’t find matching points and navigating complicated piecing fun (just call me the Pointless Piecing Princess). You can still make something beautiful and functional while keeping it simple, fun, and fast. 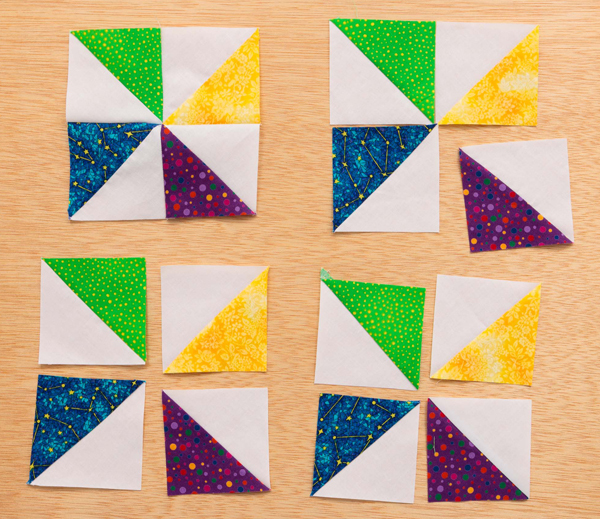 Ready to tackle the easiest quilt pattern ever—or a bunch of them? Read on for ideas! Here are a couple suggestions left by some of our Stitch This! blog commenters. We love your comments! Another genius idea for making multiple half-square triangles! Gail got this idea from a Missouri Star Quilt Company video. In the video, solid white 10″ squares are paired with Layer Cake squares, an idea that Gail modified by instead dividing a Layer Cake pack into darks and lights. These half-square triangles can be made into chevrons as the video suggests, but they can also be made into Pinwheel blocks or any other block that uses half-square triangles. How fun is that? And, you can use this technique with squares of any size. Naturally, our authors are full of great ideas as well! 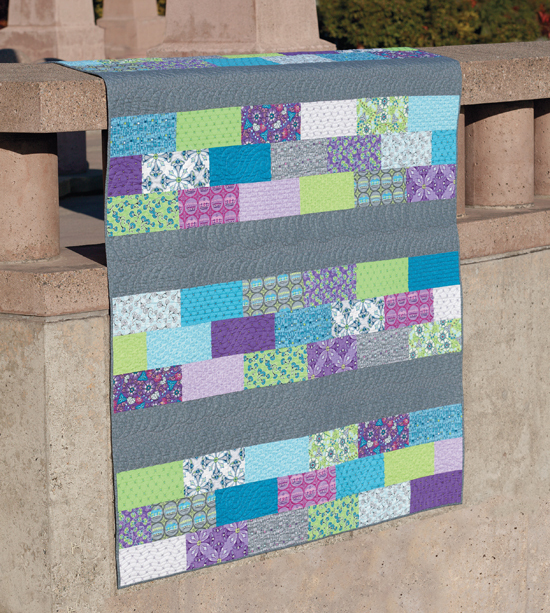 We all know that you can make a quickie quilt by taking a pile of 5″ squares from a precut charm pack (or you can cut your own) and then sewing them together into rows. Put a border on it—done! Simple, easy, and cute on its own. 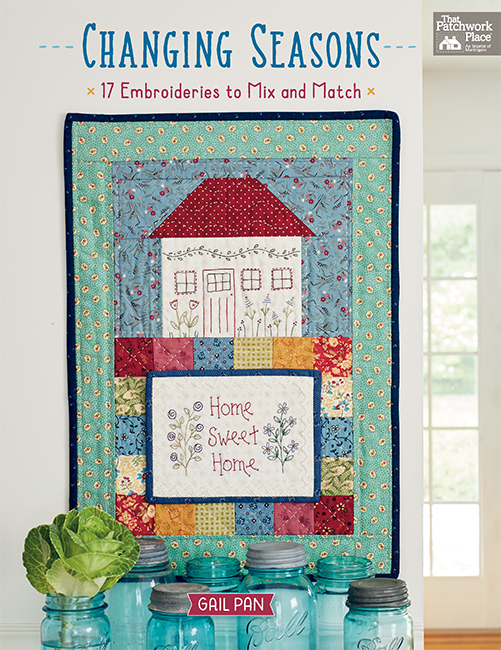 But if you want to add a little flair, try this trick from Terry Martin, author of Quilting with Precuts and Shortcuts. Once you’ve sewn your squares together, add some fusible appliqué to them as Terry has done in the two quilts below. In the first example, she used very large petal shapes plus some easy-to-cut smaller leaf shapes to create a bold floral motif. In the second example, Terry fused one easy diamond shape to the seam intersections for a pieced look without all the fuss. Sew the shapes down with a buttonhole stitch or a zigzag stitch and you’re done. If you sew the shapes down AFTER you’ve made the quilt sandwich, your quilting is done too! 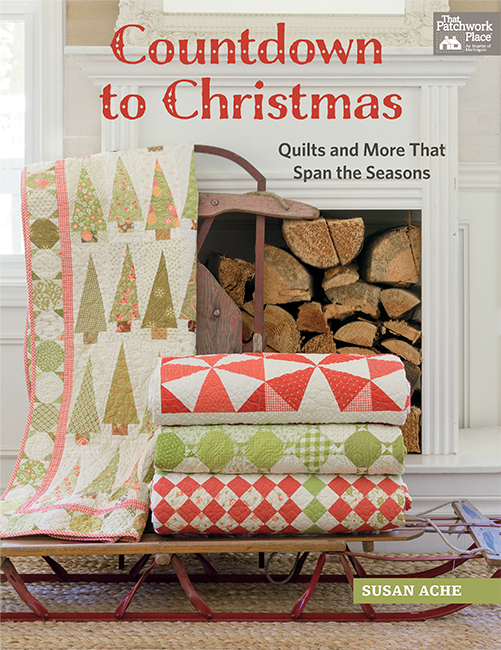 In Skip the Borders by Julie Herman, there are a number of quick-to-make quilts (and the fact that they don’t need borders already puts you ahead of the game). One of my favorites is “Rows of Bricks.” Rectangles of fun, large-scale prints combine with large strips of a solid fabric for one fast quilt. I recently used this pattern to make a music-themed quilt for a school-band fundraiser, and it turned out just great! Using fewer fabrics that are cut in larger pieces is another great time saver. Start with a “main” print that you just love; then find three or four “companion” prints and you are on your way! 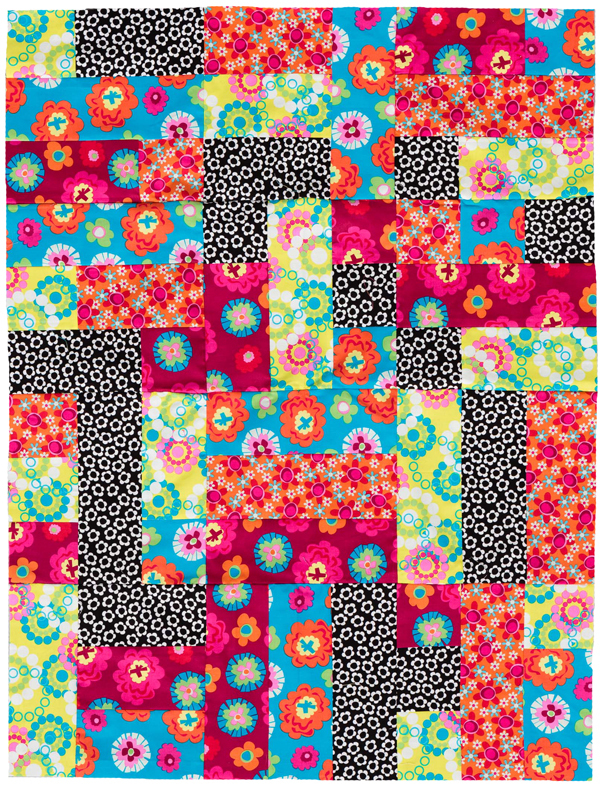 Take a look at “Modern Maze” from Modern Basics by Amy Ellis. It features a main fabric plus four companion fabrics. The 12″ blocks are strip pieced for speedy construction. What are YOUR favorite quick quilts? Leave us a comment—this Pointless Piecing Princess really wants to know! I’ll bet other Stitch This! readers do, too. 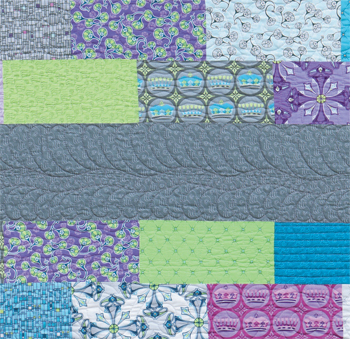 Jelly Roll Race quilt – If you are a confident sewer you can get this done really quickly and it works really well too. The best one I have seen is one where they used two really different jelly rolls and joined the two together in alternative strips – it looked really effective and you end up with two quilts in an afternoon!! I like cutting colored charms and white charms in half and sewing a color and a white rectangle together to make a block; then arrange the blocks together to form a pinwheel with rectangular spokes. Quick and easy! A really quick is just sew 5 inch squares together at random and quilt. I really like a disappearing 16 patch, easy and fun. 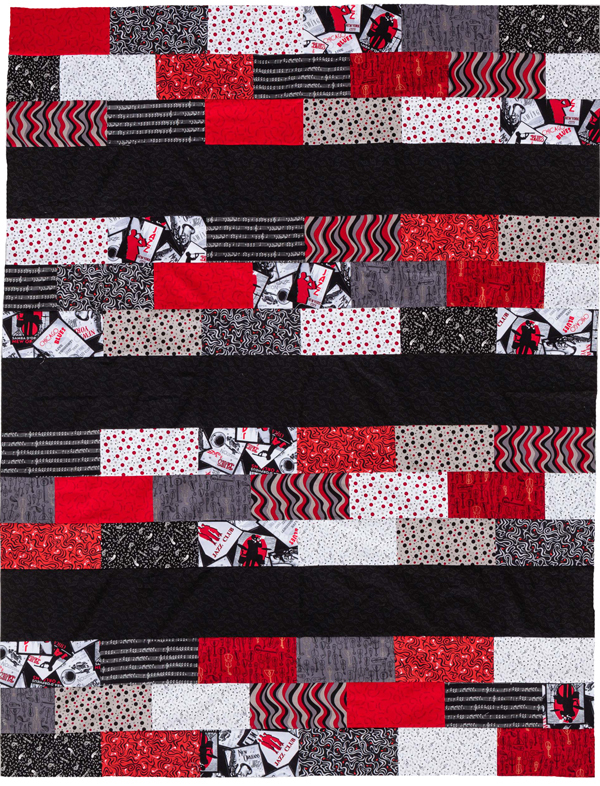 Hands down its the Jelly Roll Race Quilt. The emails that you have been sending out recently are wonderful! Great idea starters. I think the Warm Wishes pattern is my favorite. With each fabric grouping the quilt looks totally different. I love log cabin blocks. If you start with your strips organized you can sew sew sew. Much like with the jelly roll race which is what I used when teaching my granddaughter how to quilt. With my Shape Cut I can even cut my strips quickly so I’m not limited to precuts. Lovin’ the ideas for quick quilts; I have recently resolved to decrease my stash by doing simple-quick-easy quilts, my current one on the wall is from a charming charm pack adding big white blocks. I want to do something without borders but then what will I do with my new polka dot fabric–so this quickie quilt will get p-dot borders. I plan to use the "3, 6, 9″ idea to use up some fat quarters too–I really like that idea. The main thing is I’m getting some quilts done and using my stash-works for me–always a work in progress. My favorite is a Quick Strippie I designed years ago when I first got my longarm. Since then, I’ve shared lots of quick easy patterns with readers of my blog. I still like Patience Corner and disappearing 9 patch. They are both fun and easy. 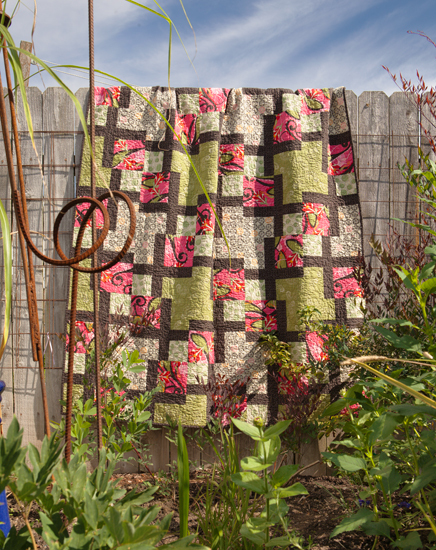 Oh, the Jelly Roll Race quilt is a definite quick one. Another is the "Double Slice" from Missouri Star Quilt Company. I have enjoyed making each numerous times. 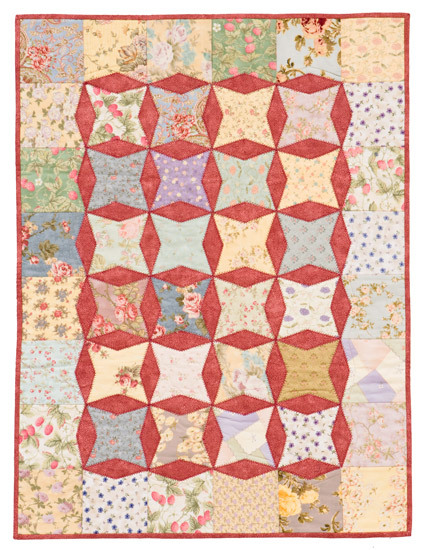 LQS had "jelly roll" class. Buy a jelly roll or make your own, then simply sew rows. Add another strip whenever you don’t have enough to finish the row you are on. Makes a "brick" pattern with very long bricks. I love the look and the quickness of the Rows of Bricks and the 3, 6, 9 Quilts. Can’t wait to start some. Great ideas. Modern maze for me, the colors are beautiful. My favorites are Yellow Brick Road and the disappearing nine patch. I once did a baby quilt in YBR the week before Christmas – my husband volunteered me for the project – he won’t do that again, though. Sewed the binding on just before it was wrapped Christmas eve. My fav quilt. Is the double cut layer cake – another Missouri star quilt co idea…. ;-) just Easy quick and beautiful – the three cornerstones to my quilt!!! 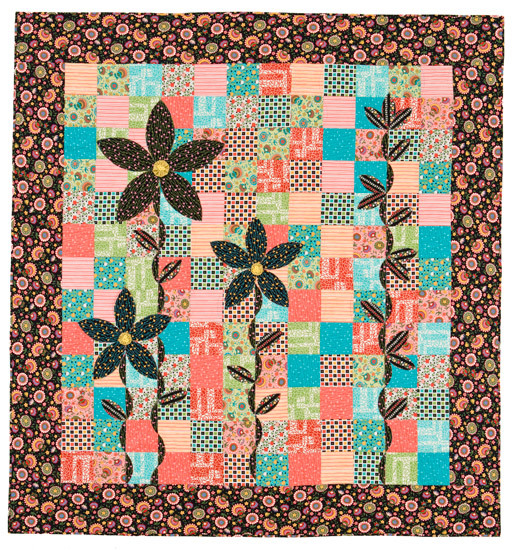 My quick quilt would be just sew together 5″ blocks from the same fabric line. I like to make 9 patch blocks, with the squares 6 or 7 inches, in a pinch will use a charm pack as well. When all the 9 patch are complete I cut them in half both ways…giving 4 pieces. Leave them in place and turn 3 of the pieces, stitch to make a new block. With 6 or 7 inch squares this makes an 18 or 21 inch block. You don’t need that many to complete the quilt. Works up quickly for a baby quilt. I like to make 9 patch blocks, with the squares 6 or 7 inches, in a pinch will use a charm pack as well. When all the 9 patch are complete I cut them in half both ways…resulting in 4 pieces. Leave them in place, turn 3 of the pieces, stitch to make a new block…no seams to match. With 6 or 7 inch squares this makes an 18 or 21 inch block. You don’t need that many to complete the quilt…works up quickly for a baby quilt. Turning twenty is a great pattern to highlight large prints that are too pretty to cut up. Using twenty fat quarters also make a good size quilt in no time. Since there are only squares and rectangles there is very little seam matching. Currently loving BQ3 and D9P……want to try the warm wishes. 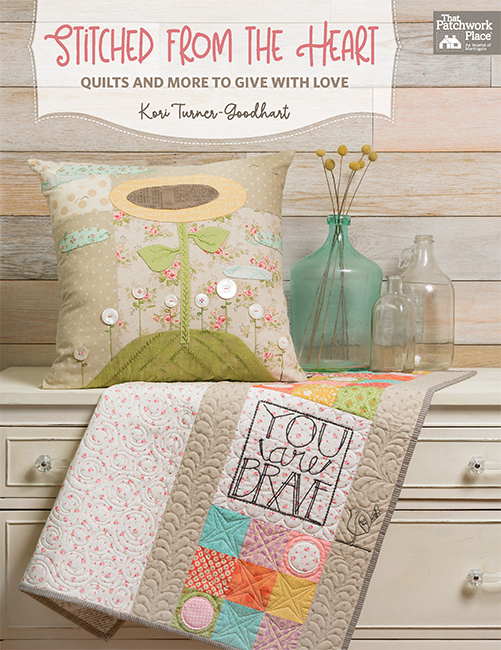 I love Cheryl Brown’s Take Five and the Turning Twenty quilt patterns. So easy, and beautiful for Batiks. Been making them for years now. Double slice layer cake from MSQC and disappearing 9 patch (multiple sources MSQC and Quilt in a Day and maybe others have the same basic idea.) One I do is sew a row of charm squares and alternate the pieced rows with plain fabric rows. No matching and it is great to quilt using quilt as you go as you add each row, and long straight quilt lines in the plain rows add lots of stability for a toddler quilt. Bind, but no borders! Adorei a ideia vou fazer, mas usa-la como tapete para sala . My favorite quick quilts use charm packs. I love 4-patch quilts and 9-patch quilts with sashing between the blocks. I also love the simplicity of sewing the charms from a collection into rows. I like this quilt without a border, to add to its simplicity. I love all the ideas for quick quilts. Piecing them quickly is not a challenge for mr. I get stuck at the quilting. All 40 of my quilt tops will attest to that! Stitch in the ditch and straight line quilting is boring. I guess I need the most practice in free motion quilting. d9p. fun and effective. have one planned in fall colours using orange as the centre block in all so the smallest joins will all be orange. Lovely ideas and encouraging me to try but like Juilia Stavran says above, it s the quilting I get stuck on. I can see that some of the quilts have been beautifully quilted. How the heck long does it take to stitch those lovely designs. I make a stair step pattern using 5 inch charm squares and 5 x 9-1/2 inch rectangles. Just sew 2 printed charm square together and then sew the long edges to the long edge of a light colored rectangle. When you lay out the first row make sure the first block has the printed squares on the left and the next block has the printed squares on the top. Alternate the blocks this way for the first row. The second row has the printed squares on the top in the first block and then the printed squares are on the left in the second block. Alternate the blocks for this row and then make the next rows the same alternating the blocks in each row. Two charm packs makes a nice size quilt. You need about 2 yards of light background for the rectangles and a half yard for binding. This is my go to quilt when I need something I can make quickly.